the proposal is intended as a device to enhance, at once, the virtual world and the real one, to support human communication, cultures, and interactions. 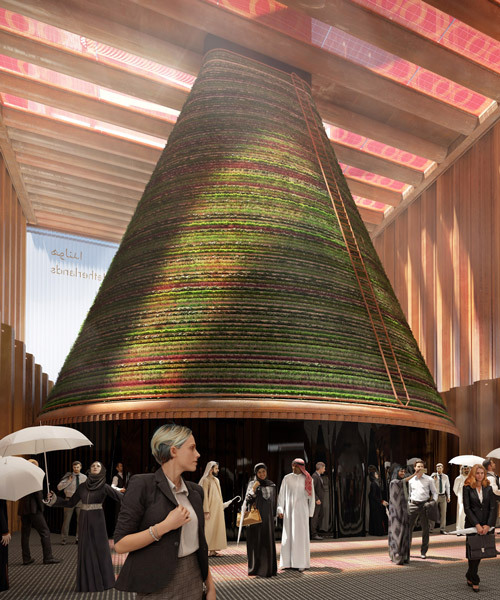 the project will create a temporary climate system in dubai’s dry desert, built using locally sourced materials. the explosive form represents the notion of a boundary no longer being a line of separation but a space for creation. the digitally-equipped structure provides a space that is both physical and virtual. 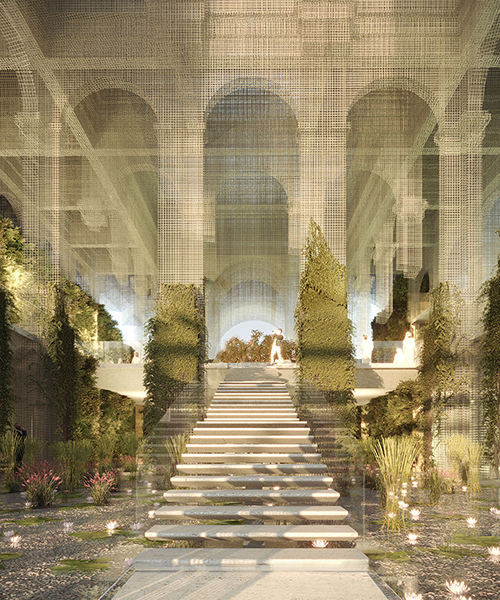 the pavilion will focus on the country's waters, its rivers and its mangroves. the lightweight construction draws from previous german pavilions such as those of mies van der rohe, frei otto, and fritz bornemann. 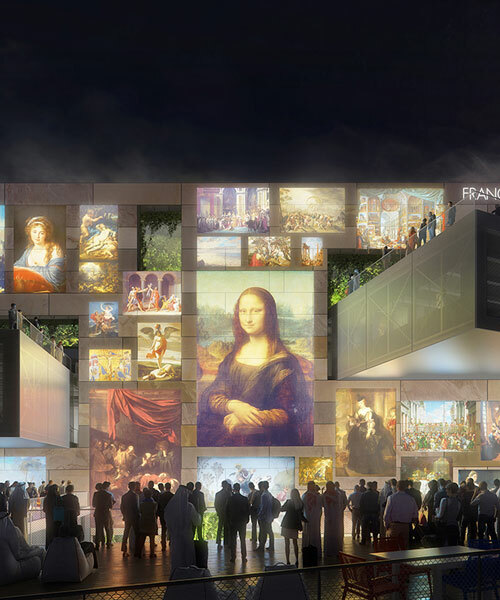 the entire scheme has been conceived as an interpretation of a typical spanish plaza, a welcoming public square that visitors can occupy in a variety of ways. 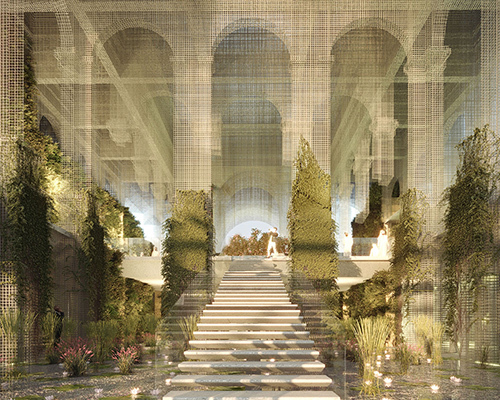 titled the ‘poem pavilion’, the design also includes an illuminated maze that highlights british expertise in the field of artificial intelligence. 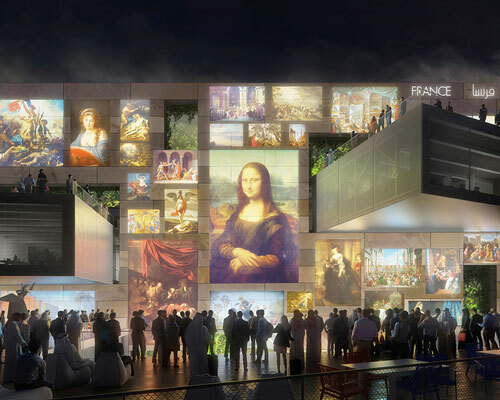 with a keen focus on sustainability, the design promotes free visitor movement via a network of 'exhibition junctions'. the design intends to promote water as both a public asset and a basic human right. inspired by the shape of a flying falcon, the landmark covers more than 15,000 square meters and four floors, including a 1,717-square-meter top story hospitality lounge. the structure will be a working demonstration of the effectiveness of solar energy, water harvesting, and material optimization. 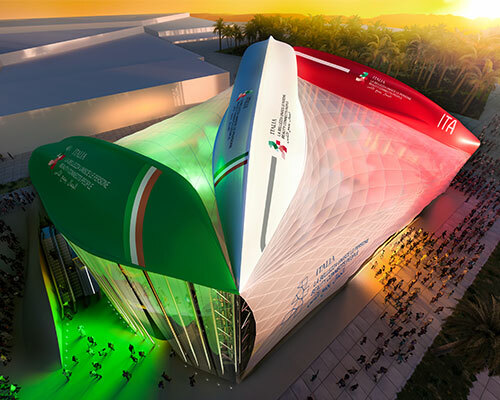 referencing a falcon in flight – the design will capture the UAE's past and future spirit to the 25 million visitors and participants from over 180 nations expected to the site. 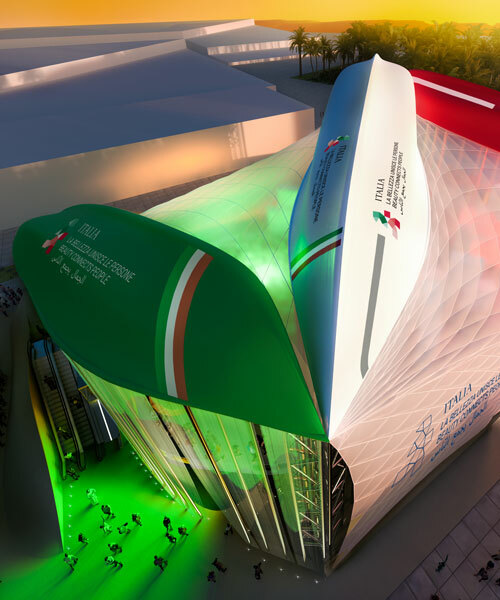 under the theme ‘connecting minds, creating the future’, the three renowned practices have been chosen for their bold designs of structures that embody the 'sub-themes' of the event. 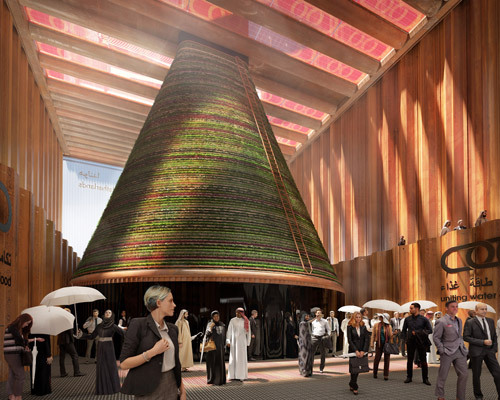 referencing the spatial organization of a souk, the futuristic and innovative design embraces the heritage and history of the emirati region.